Federico Lupp has more than 25 years of experience in international logistics. He frequently speaks and serves as a panelist at international cold chain conferences worldwide. Recently, Federico has extended his sales territory oversight to Africa-Middle East and the Asia-Pacific. Federico has held his current position at LifeConEx since September 2007. Prior to 2007, Federico was a sales manager for North America at LifeConEx. Before joining LifeConEx, he was a global industry manager for the Americas at Lufthansa Cargo based out of Philadelphia. 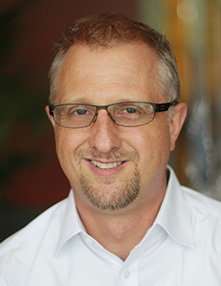 Prior to Lupp’s transfer to the U.S. in 2002, he was based in Buenos Aires, Argentina, where he served as a regional business development manager for Lufthansa Cargo within the pharmaceutical, automotive and telecom industry for South American operations. Federico attended Veterinary School of Medicine at the Universidad de Buenos Aires, where he earned a master’s degree. He is of German descent, was born in Argentina and currently resides in Frankfurt, Germany. Between stints of intense traveling, he enjoys his other passion — competing internationally as an international master swimmer.